From the bedroom to the living room, those side areas need an extra leg or two to make things more comfortable and balanced. 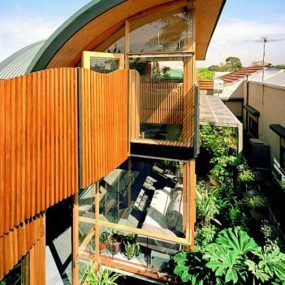 Thankfully, we did some searching and found designs that will wow those corners. 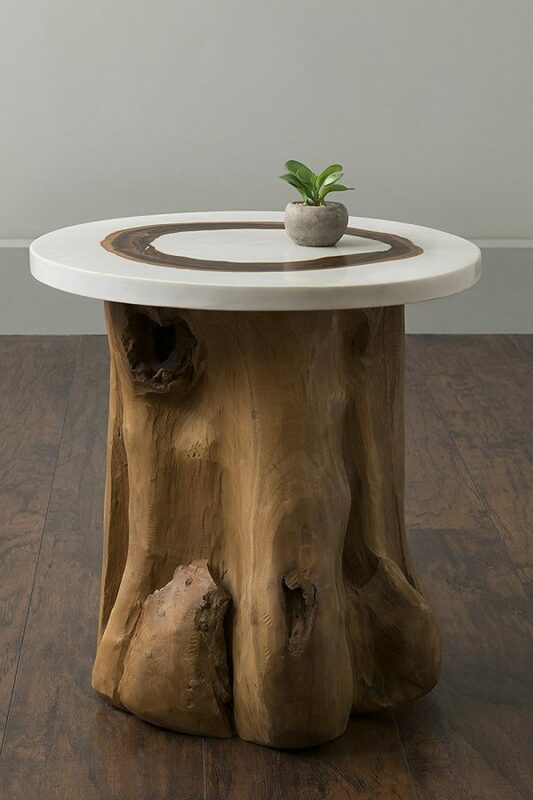 Check out these 15 unique end tables that will certainly liven up any room of the house and finish off your vision. 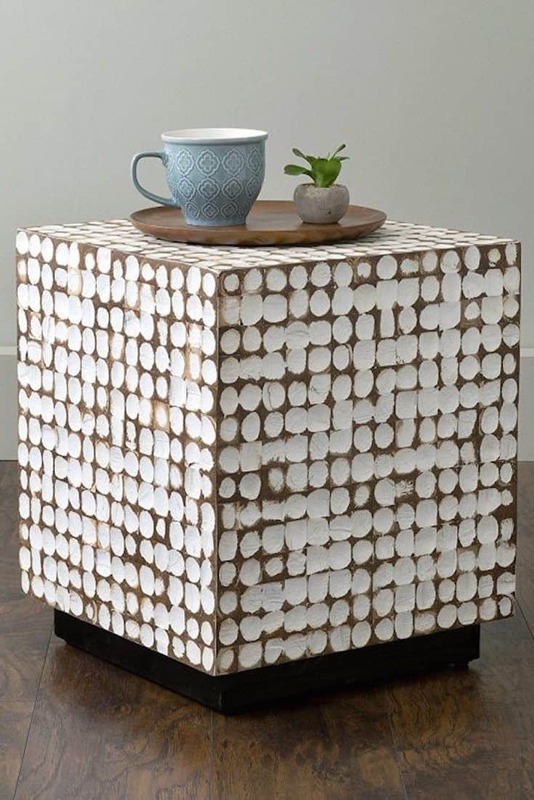 Explore begins our journey with this rad cubed end table. 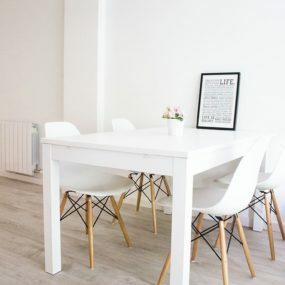 Complete with a mixed material feel and a white, polka dot design, this is a great piece for when you want to create a a unique focus point in your home. Whether it’s in the living room or even on your covered porch, it works! We’re a big fan of drum tables and this one from Urban Outfitters is a really fun take on that more simplistic style. 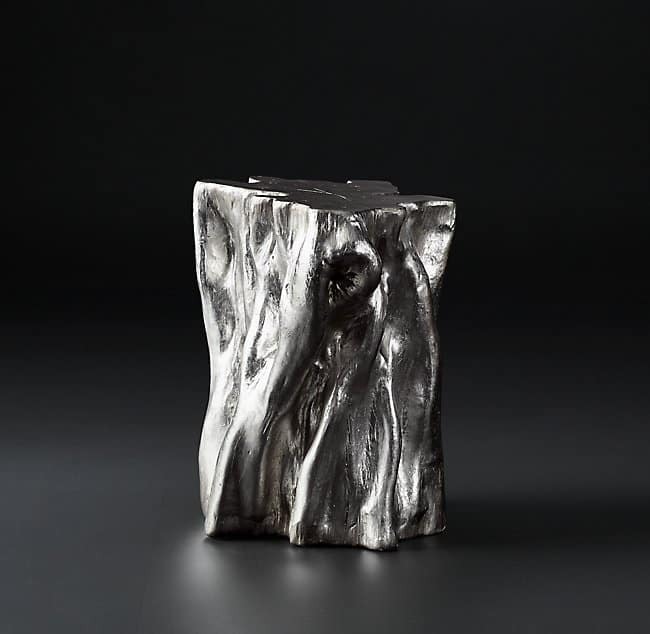 With a funky shape and textured edge, it’s a wonderful piece for a bedroom or even a home office. We love the neutral tone as well so it’s blend with a lot of different, popping shades. 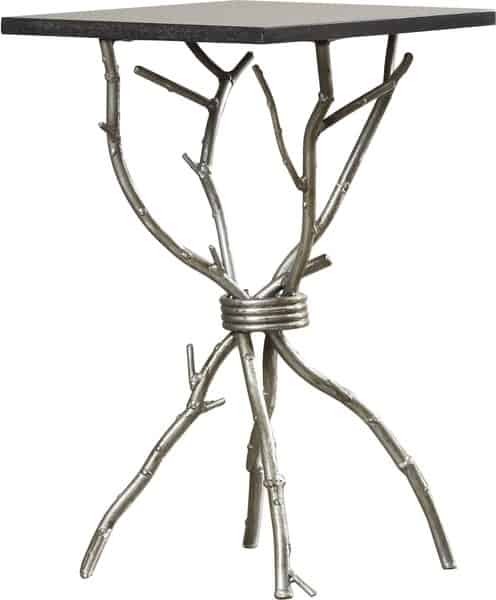 If you’re looking for something that has a more modern, artistic edge, then this branched design is the one for you. We found this beauty on Joss and Main and instantly fell in love with its understated uniqueness. Place this inside a formal living room or even in a foyer next to a beautiful, accent chair. We’re loving this Wayfair find as well. It’s the perfect blend of functional and style. 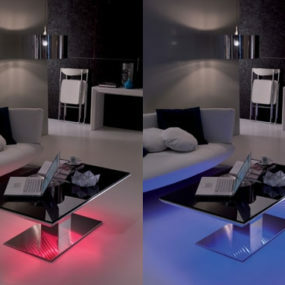 And that popping, cherry red is truly one-of-a-kind when it comes to living room furniture. 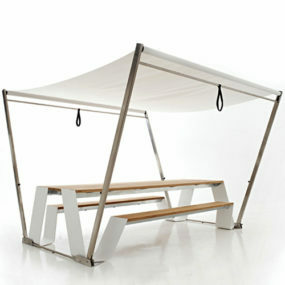 We see this design also fitting in well inside a finished basement or play room as well. If you’re looking for a fun blend of both contemporary and organic beauty, this design that resembled a painted stump may be exactly what you’re looking for. 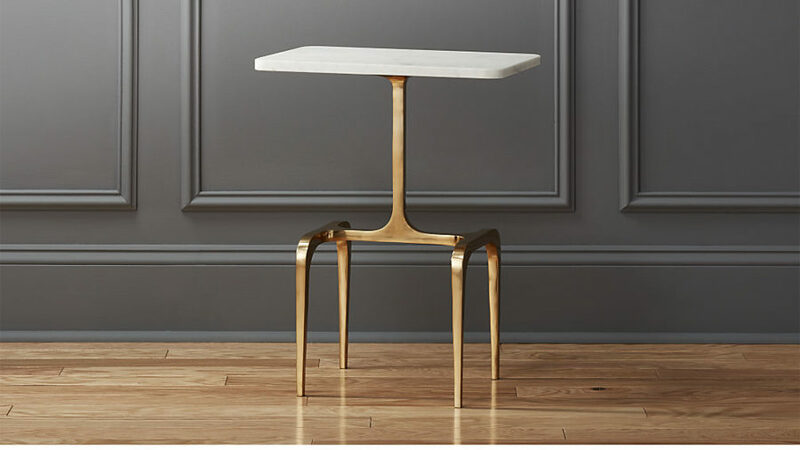 Restoration Hardware has this beauty on their site and you can even get the same piece but in a golden or a bronze. 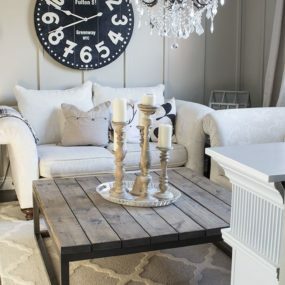 This one would be a whole lot of fun to style inside various corners of the home. 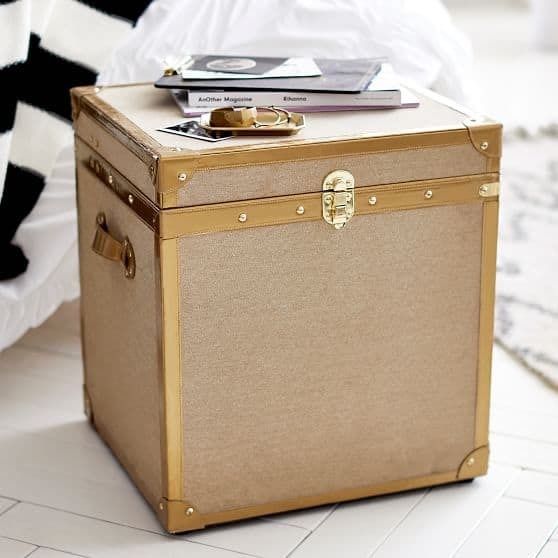 Check out this fun trunk from PB Teen! Not only do you get a unique look as a side table with this piece but you get a storage option as well. We see this quite fitting for teen bedrooms or even inside dorm rooms too. 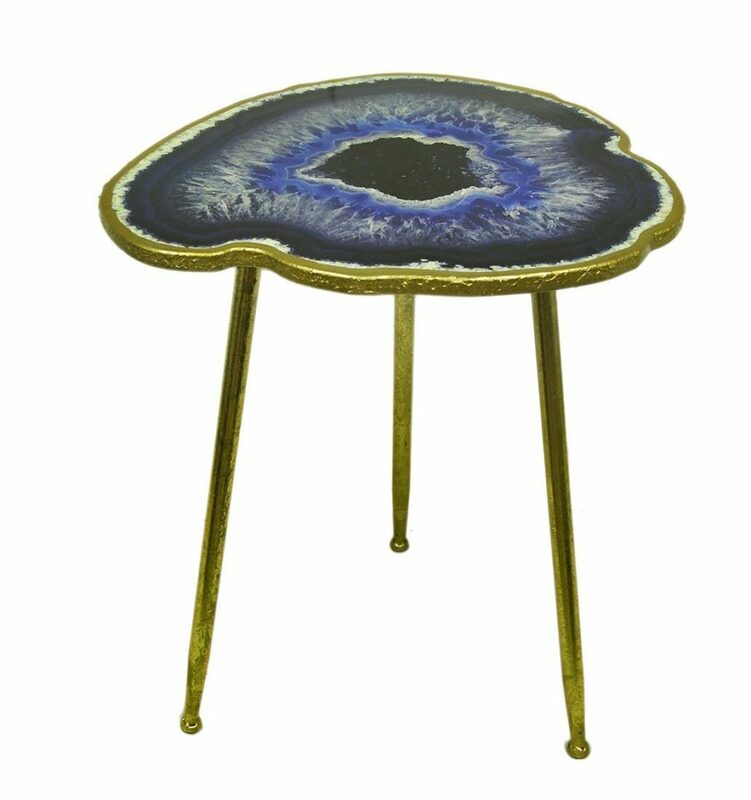 We are big fans of the agate trend right now. And we’re an even bigger fan when they’ve been made into larger, statement pieces such as this. 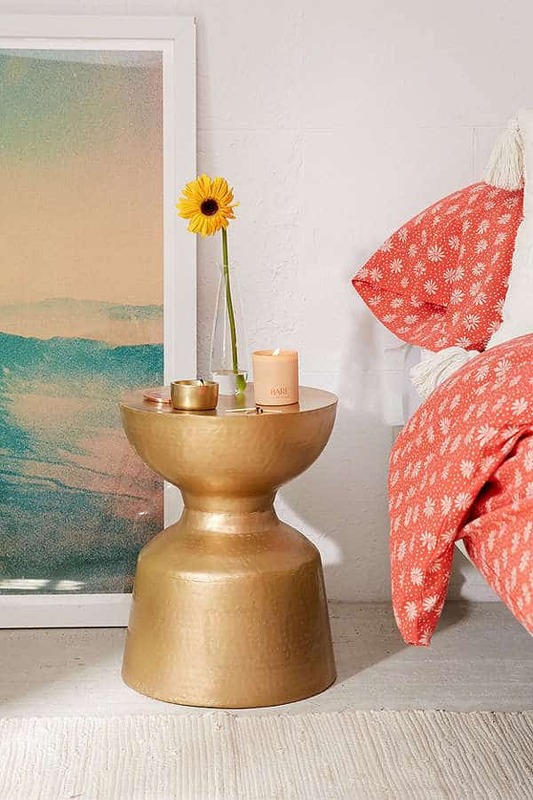 You can snag this end table off of Jet and spruce up a corner of your living room with some blue and gold pops. Here’s an unusual shape that fits in well with contemporary spaces. Mixed material and chic edges, this would look great inside formal living rooms or master bedrooms that have the extra space to show off the creative design. It’s an innovative, fashion-forward look that is still very functional. Thanks for the look CB2! 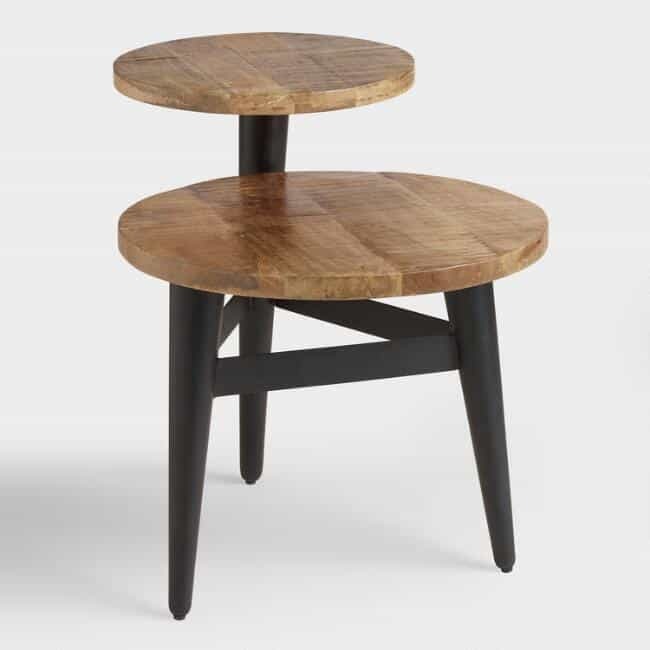 Perfect for kids’ rooms or play areas, this end table will do its job plus some more. 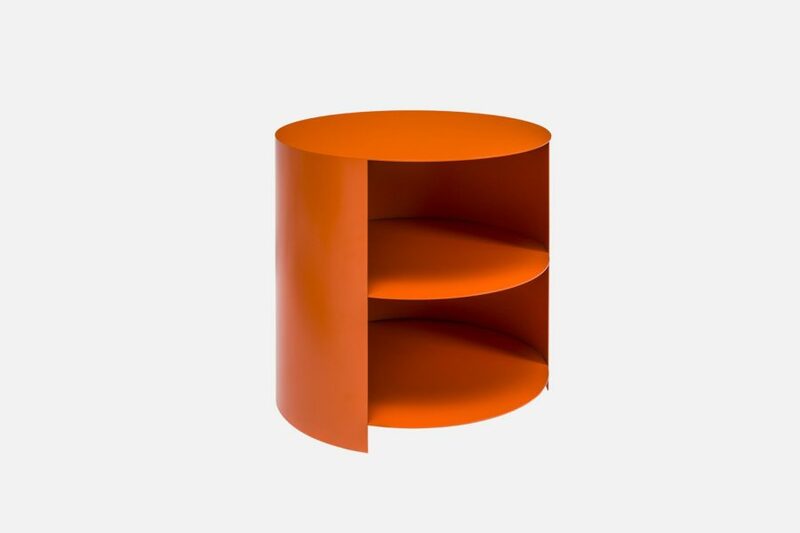 Organize and store books, toys and the like with this fun piece from hem. It also comes in a fun assortment of colors! Here’s another mixed material design that’s quite unique at first glance. 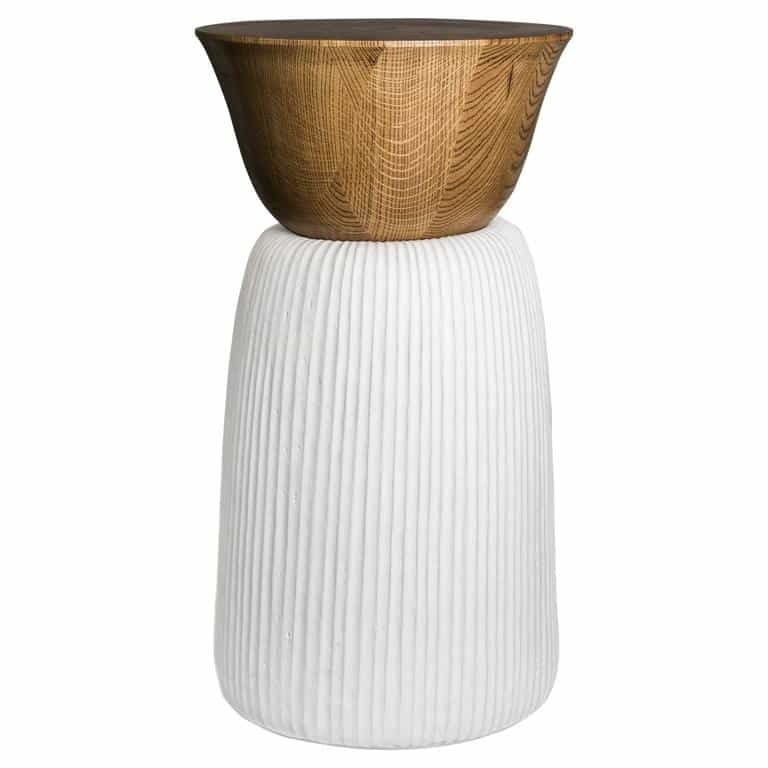 Wood and sandstone come together to make a funky, drum end table that can do well on its own in the foyer or at the side of the sofa too. Check out more fun designs like this at 1stdibs. 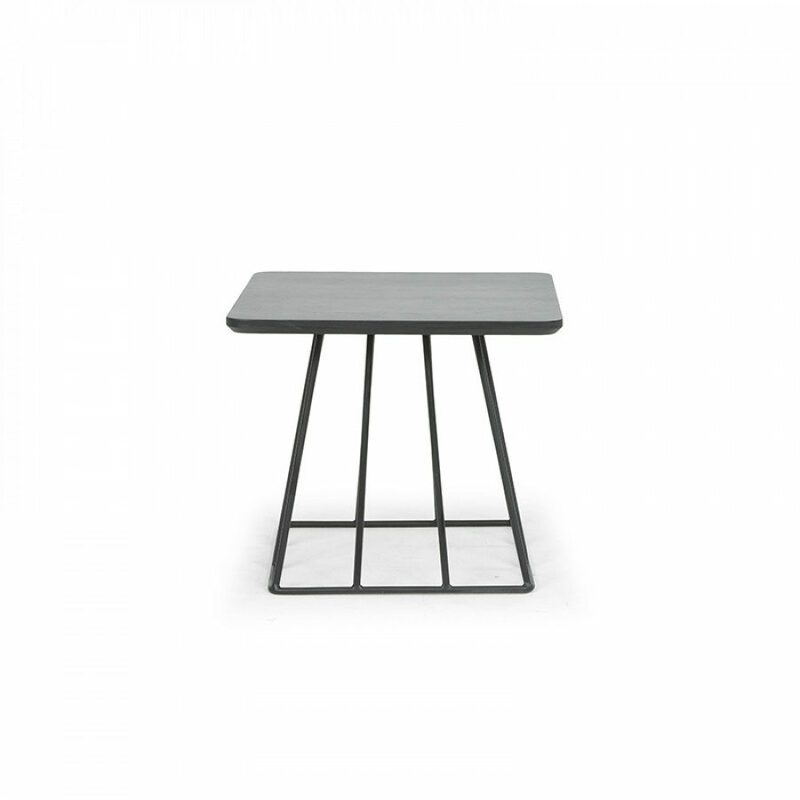 One of the more simple designs on the list, this piece from Arro Home is definitely the most versatile of the bunch as well. 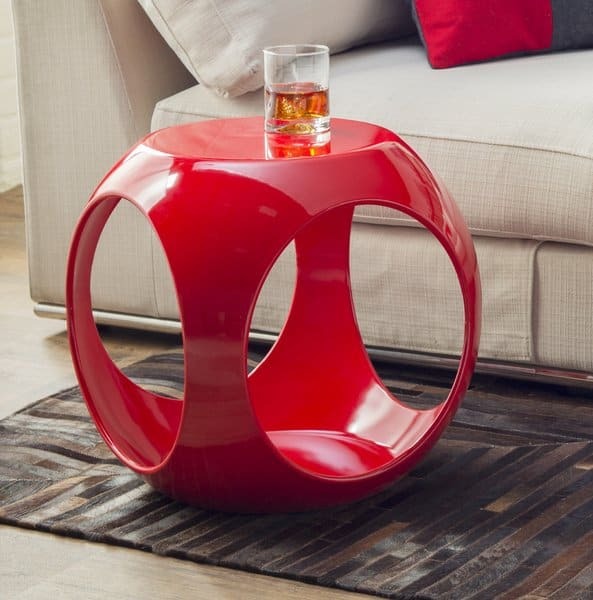 Contemporary and with a unique base, it’s a functional end table that would truly work in any nook you needed it to. From the bedroom to the home office, it’s a good buy. 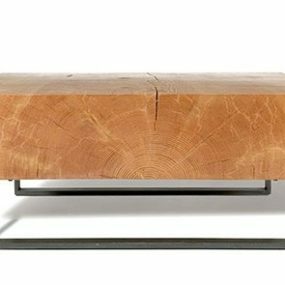 This end table from Room & Board does more than one job. 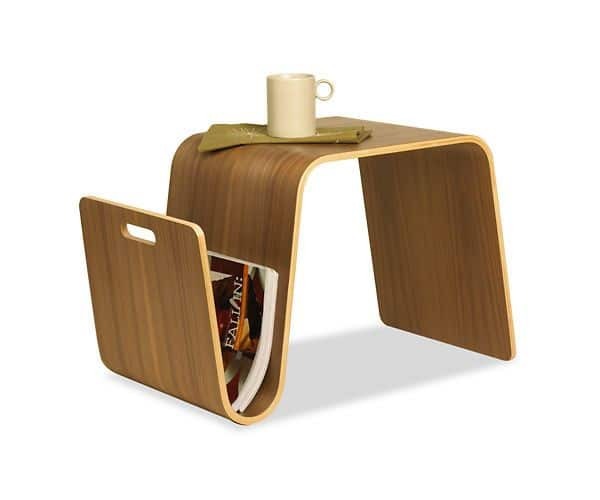 It, of course, acts as a functional side piece for the couch or bed, but it’s also a magazine holder! It’s unique shaping also creates a beautiful focus for any corner as well. Target has so many wonderfully girlish and charming pieces to love. 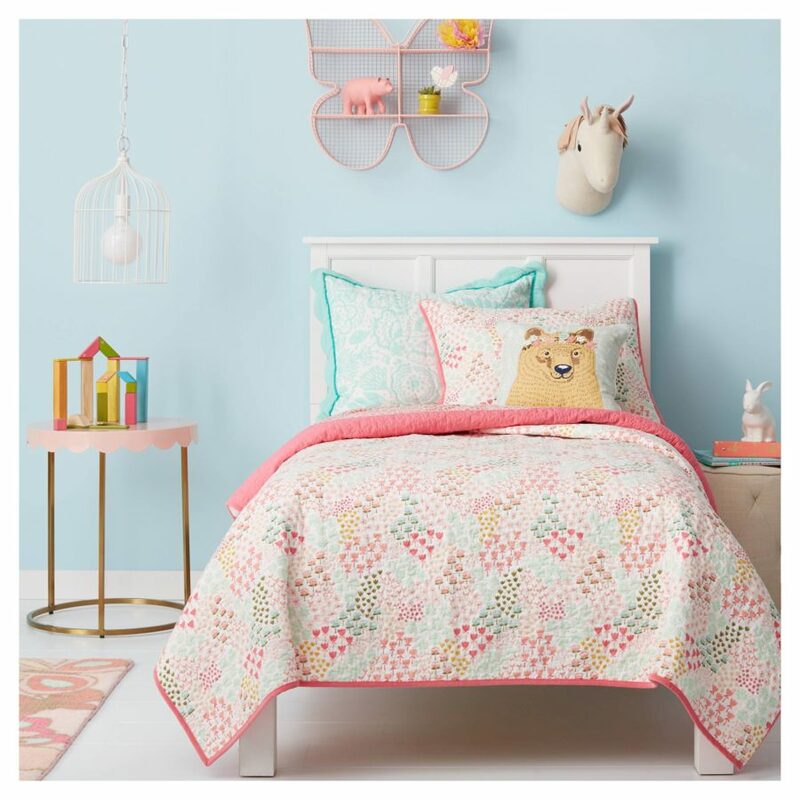 And we fell instantly in love with this pink scalloped piece from the Pillowfort collection. Its gold base creates a neutral setting and we love how gorgeous the overall design is. Check out this two-tiered piece from World Market! 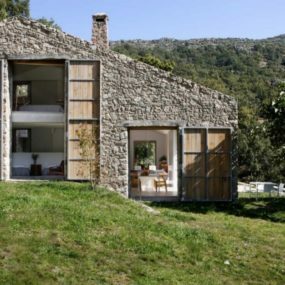 It’s simple in color but unique in it’s design, but still extremely functional and versatile for a variety of homes. We easily can see this slip inside houses with a more rustic or farmhouse theme. And finally, over at Home Designing, you’ll find this gorgeous, wooden piece that’s just as much a work of art as it is an end table. 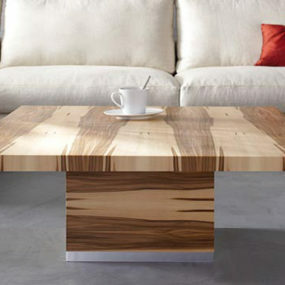 With multi-toned, organic accents and a thick base, it will really create a fun splash of nature for your home to don.